Interesting idea them locks. I could see myself putting one there someday for fun. dunno… even marriages are not made to last nowadays. am i becoming more and more cynical? true that. we wouldn’t want a perfectly lovely picnic location inside the river now, do we? Yeah I think the idea is nice and for the romantic is just a wonderful love story. But afterwhile that can be an eyesore and what happens when you are reminded everytime you pass that bridge of a love that didnt work but the lock remains. true too. so either don’t put one, or if one must, not on a bridge in the city one lives in. 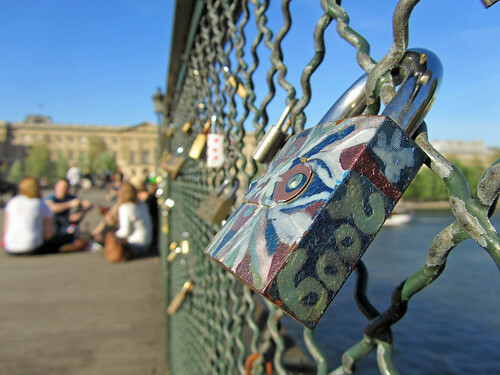 afterall there are other bridges elsewhere worldwide that are being used as lovers’ shrine like this.